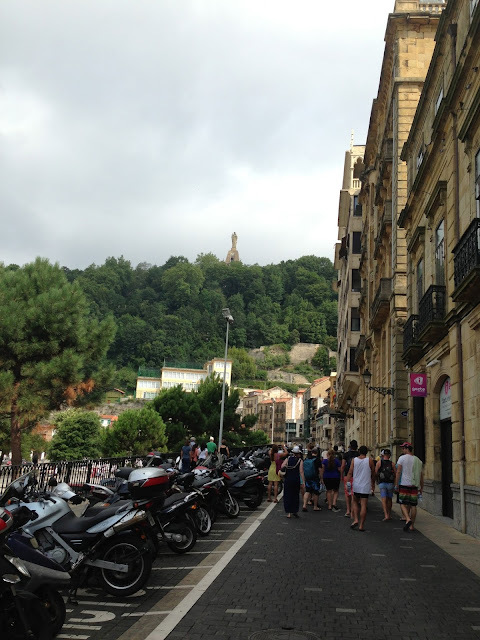 The next afternoon stop was San Sebastian, a scenic coastal town still in the Basque region. As you can see from the photos it was a little overcast when we arrived but it brightened up as soon as we hit the beach for a bit of bathing! After a couple of hours lying on the beach we wandered through the narrow streets and had a traditional tapas lunch. Then it was time to make our way on to our next stop, Pamplona!